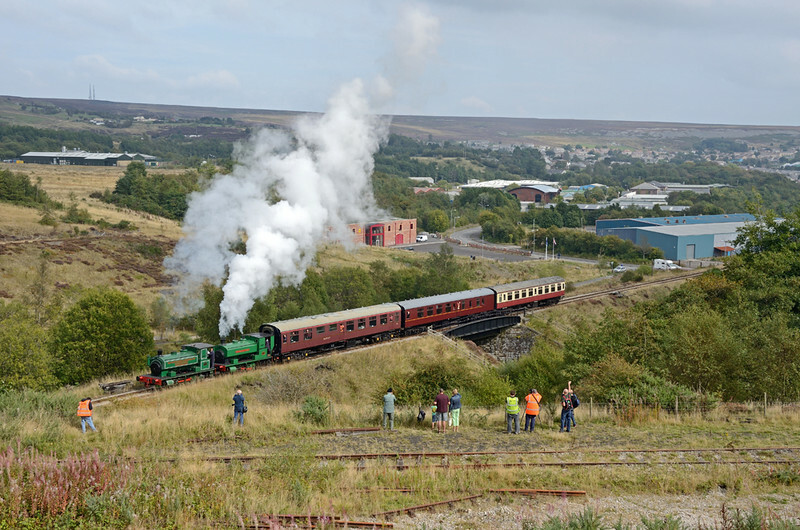 The Pontypool and Blaenavon Railway's steam gala was a "Big Barclay Birthday Bash", celebrating the 100th birthday of Rosyth No.1 , with a gathering of Andrew Barclay locomotives, with 4 in steam and 6 on display, including the new arrival Victory. A big thank you goes to Wing Cdr Lance Clark MBE, Padre at MOD St Athan who rededicated Rosyth on Saturday ... and then had a footplate ride of course. Guest engines were Sir Thomas Roydon and 1931 from Rocks by Rail, and Edmundsons from the Rushden Historical Society.